Southern Linc, a subsidiary of Southern Company, has entered into an agreement with Dalton Utilities to transmit distribution data via the new “CriticalLinc” mission critical LTE network. The multi-year deal will enable eleven substations in the Dalton, Georgia area to use Southern Linc’s mission critical LTE network for wireless data transmission. Dalton Utilities is the first Georgia utility to take advantage of the new CriticalLinc network outside of parent company utilities Georgia Power and Alabama Power. Currently, Southern Company electric utilities have more than 3,000 wireless data modules currently using the highly reliable, highly secure LTE network for distribution and transmission data and controls. Over the last two years, Southern Linc has been constructing a new 4G LTE Advanced network to meet the growing mission critical data needs of its customers. The highly reliable and secure network will also serve the most crucial data needs of first responders and organizations like Dalton Utilities. 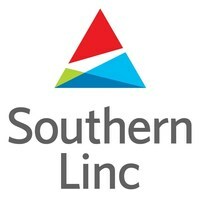 Southern Linc’s new 4G LTE Advanced network offers network encryption over the air. In addition, the company strengthened the network’s emergency backup power capabilities with hydrogen fuel cell technology at key locations and added main power and complete data center redundancy to increase the reliability of the new network. Southern Linc plans to begin migrating existing customers to the new network in 2018 when voice-over LTE services are available.